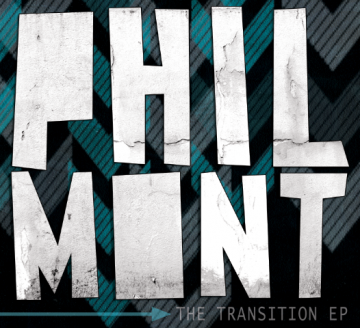 Philmont‘s latest effort is different to be sure, but then again a lot has changed. They Lost a member and gained 2, Scott no longer plays guitar and they are no longer with Forefront records. That being said, change seems to agree with them. Their 2 releases with Forefront (the Oh Snap! ep and Attention!) were catchy and fun, but over all not deep on emotion and the songs themselves felt a little basic at times. That being said, I am a fan of Philmont both past and present. While their previous sound could be described as Blink 182 meets Eleventyseven, their new ep reminds me more of Jimmy Eats World, Angels And Airwaves or even The Plain White T’s. The guitar work is more intricate, and Scott’s voice sounds less punk and a little lower than it before. The album starts off with “I Am,” a great pop-rock track dealing with knowing one’s self, and not just letting mistakes define who we are. “You Will Remain,” the first single off of The Transition ep, deals with the steadfastness of God contrasted with the world we live in and the problems we encounter. “The Alchemist,” is a great song and probably the most aggressive song on the ep. “The Last Song I Sing,” closes out the ep on a slower tempo, and depending on who you are it might seem romantic or like a come to Jesus song. Either way, I think this is my favorite song on the album.